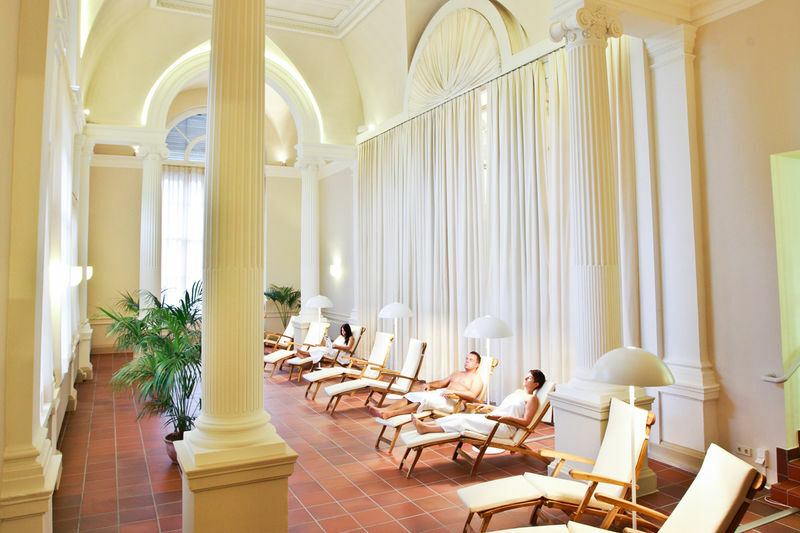 Discover the fascinating world of the Friedrichsbad – a temple to the art of bathing. "After 10 minutes you forget time, after 20 minutes the world" Where exactly? By an unforgettable visit to the Friedrichsbad! 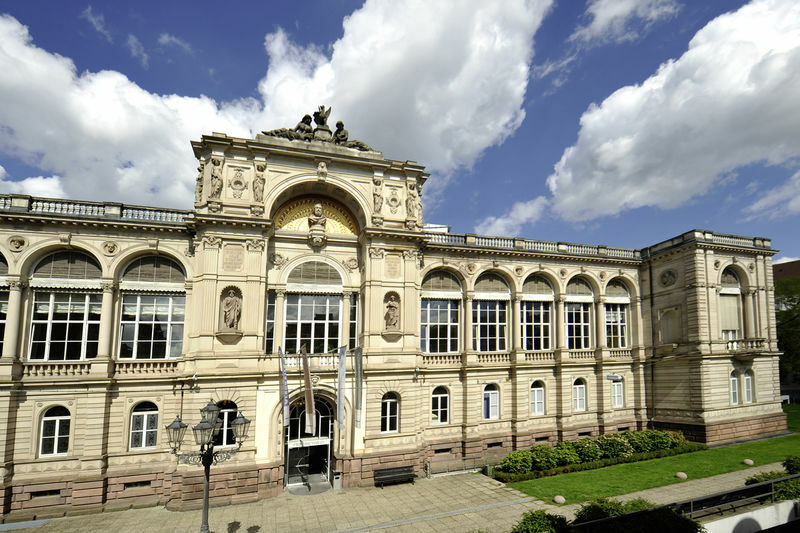 Situated at the foot of the Altstadt, a combination of Roman and Irish bathing traditions have been enjoyed here for the past 140 years. And it’s not simply the baths that work wonders. Even the elaborate frescoes, that decorate the awe-inspiring central dome, provide a sensory treat for body and soul. Let yourself be spellbound by the charm of the Friedrichsbad and revel in an atmosphere that has, for so many visitors, been a magical source of inspiration. 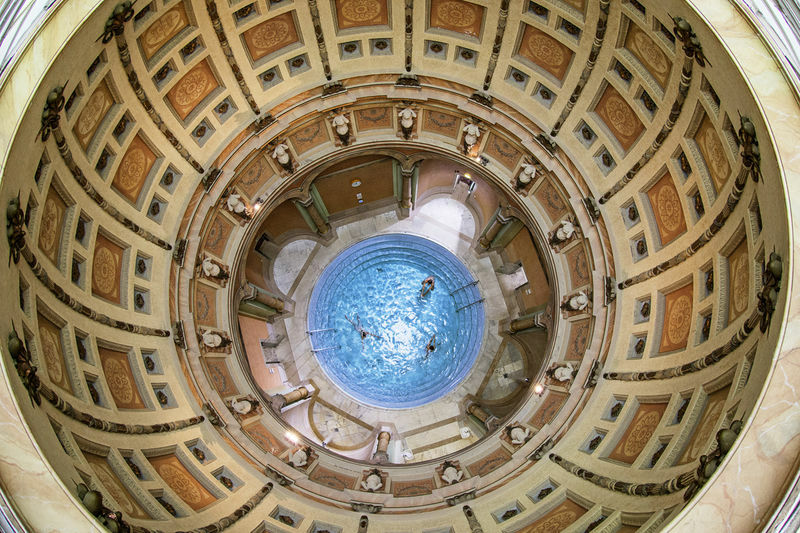 The view of the artistic frescos at the heart of the spa, on the round dome above the Roman/Irish baths, is a tonic for body and soul. When it was opened in 1877, this temple to well-being was among the most modern baths in Europe, and it is still as captivating as ever. Monday 09:00 - 22:00 Last admission 2 hours before closing. Tuesday 09:00 - 22:00 Last admission 2 hours before closing. Wednesday 09:00 - 22:00 Last admission 2 hours before closing. Thursday 09:00 - 22:00 Last admission 2 hours before closing. Friday 09:00 - 22:00 Last admission 2 hours before closing. Saturday 09:00 - 22:00 Last admission 2 hours before closing. Sunday 09:00 - 22:00 Last admission 2 hours before closing.